These unusual white figs are grown for us by Jose Mari Agusti near Barcelona. Slightly sweeter and more delicate than their traditional black cousin, they’re a real treat. If eating raw, take them out of the fridge about 30 mins beforehand; they reveal their jammy sweetness and perfume a lot better at room temperature. We send them ripe, so tuck in soon. Keep in the fridge – they’ll store for 4-5 days. Straight from the farm, so please wash before eating. Eat at room temperature for the best flavour. 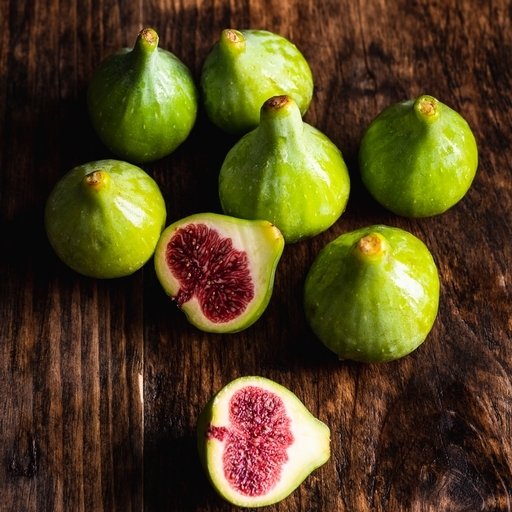 These beautiful pale figs are grown for us by Jose Mari Agusti on his farm near Barcelona. Jose also grows our traditional black figs.